Some commentators are predicting that universities and colleges as we know them will become obsolete in the not-so-distant future. I strongly disagree. The argument in support of this forecast goes something like this: because Apple revolutionized the music industry and Uber transformed transportation, it’s inevitable that online internet courses will thoroughly disrupt higher education. As the president of a small, private university in tech-savvy California, I have a few concerns about this winner-take-all view of the impact of “revolutionary” technology on higher education. While I agree that online courses can make continuing education more accessible and affordable to a certain demographic — notably, working adults — in my view, they can never supplant the powerful impact that human connection has in the classroom: how we teach the creative arts, how we discuss the humanities or, just as importantly, how we nurture empathy. Consider the analogy of the university as a hospital. You need informed, engaged faculty-student relationships just as you need knowledgeable doctor-patient interaction. While transformational technologies like virtual reality, artificial intelligence and machine learning will play a major role in both medicine and education, the human element isn’t going anywhere. We need a nurturing environment. We are, after all, social animals. Student drivers: That’s not a pun, although it actually works in this context. Individual students ideally possess a passion for learning and a desire for skills acquisition. For most, the critical factor in selecting a college is their major. The hospital analogy is helpful here: does the hospital have a trauma center or a cardiac care center? Faculty drivers: The availability of top-notch faculty (physicians in our hospital analogy) is crucial. To be considered top-notch, they must possess the experience, education and the ability to engage (bedside manner in the case of physicians) and, ideally, a capacity to be mentors. Financial drivers: How much is tuition after financial aid? How well does the educational institution address potential job availability, work/life balance and return on investment (in hospital terms, cost, future quality of life and remaining lifespan)? There is no question that technology is already having a major impact on education, as it is in medical diagnostics and hospital operations. But perspective is vital. Developments we initially regard as shiny and new may not be at all. Online technology falls into this category. The major oil company I worked for offered employees online, satellite-delivered courses worldwide in the mid-1980s. The mere presence of technology that has been around for 30-plus years doesn’t change the fact that traditional universities continue to be ranked much higher in terms of academic excellence and student outcomes. England provides a testament to the staying power of quality traditional education. Oxford University was founded in 1096 A.D. and Cambridge University in 1209 A.D. Fast forward 900 years and these very traditional universities are still ranked No. 1 and No. 2 in the 2019 Times Higher Education World University Rankings, respectively. Contrast that with Open University in the UK, the world leader in distance learning with almost 200,000 students, which started an online business school in 1983. Open University failed to place among the top 500 universities in the 2019 Times Higher Education rankings. And that disparity gets to the heart of the matter: how do we define an educated person? I believe the key characteristic is the ability to think critically. In my view, the fundamental objective of post-secondary education is to provide an innovative, engaged learning experience with a focus on critical thinking and student-faculty interaction in a mentoring environment. Let’s remember that even as the competitive landscape in higher education continues to evolve, traditional, time-tested universities are still at the top of the realm. To paraphrase Mark Twain, reports of their death have been greatly exaggerated. 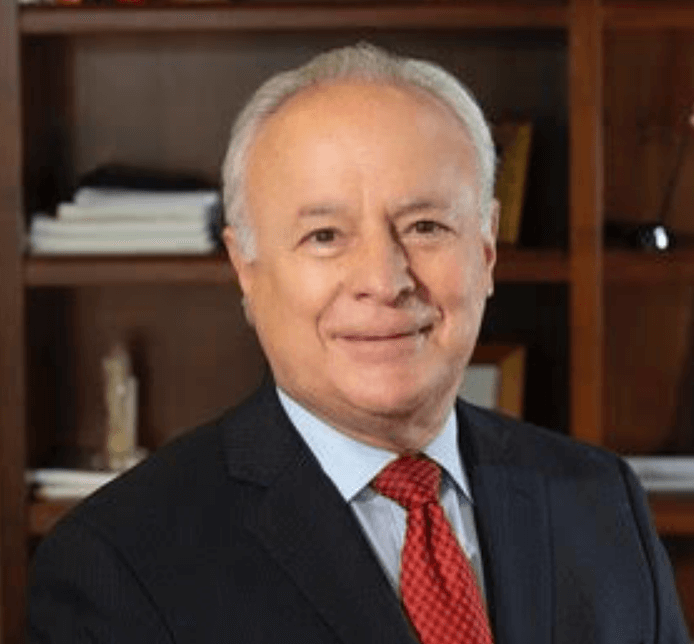 Dr. David Steele-Figueredo serves as the President of Woodbury University. He is also a seasoned international business leader who played a variety of strategic roles with Chevron Corporation. Born in Venezuela of Hispanic heritage, he attended the University of Birmingham in England, where he earned B.S. and Ph.D. degrees in chemical engineering, and completed graduate business training at the University of California, Berkeley, and the Wharton School of Business at the University of Pennsylvania.